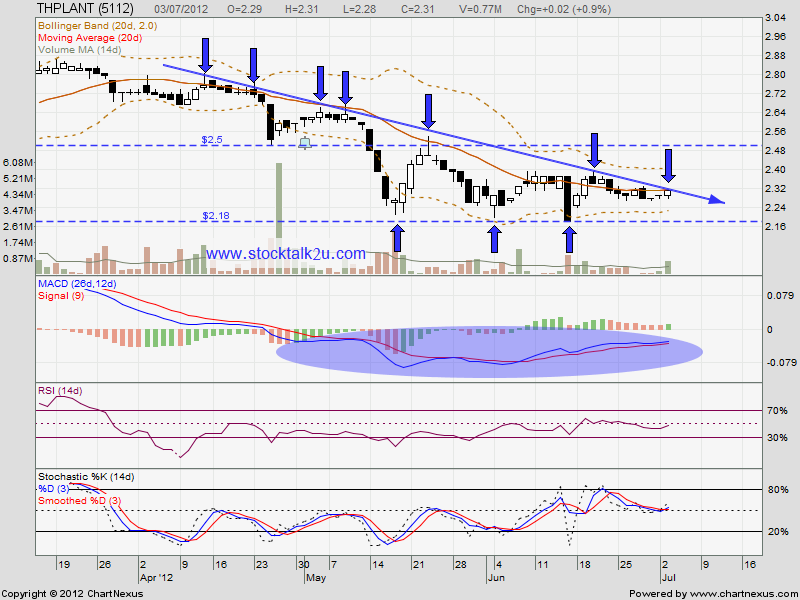 THPLANT is forming descending triangle with RM2.18 support. If able break through upper triangle line, next resistant would be RM2.50 level. 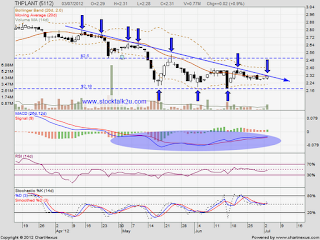 However, if retrace down, it might retest RM2.18 support level again.